Albany, NY – Upstate Jobs Party (UJP) founder Martin Babinec today announced new 2018 endorsements by UJP, the first the independent party has made in the Capital Region. UJP announced strong support for New York State Senate Candidate Daphne Jordan and New York State Assembly Member Carrie Woerner. 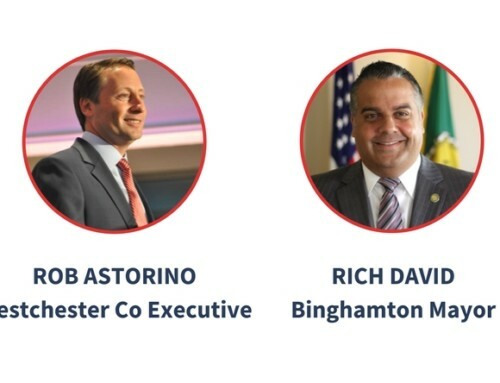 In advance of an important debate, UJP announced these 2018 endorsements and support for these candidates as the right choices in the Capital Region to reverse the outmigration of our young people, realign economic development policy, and lead holistic government reform in the State. UJP recognized Woerner’s deep innovation economy experience and dedication to nonpartisan solutions, as well as Jordan’s small business savvy and clear dedication to encouraging private investment in the Upstate economy. UJP endorses candidates that will work to foster an environment conducive to the creation of innovation jobs through leveraging private and public investment, supporting a strong local workforce, and eliminating job-killing policies. 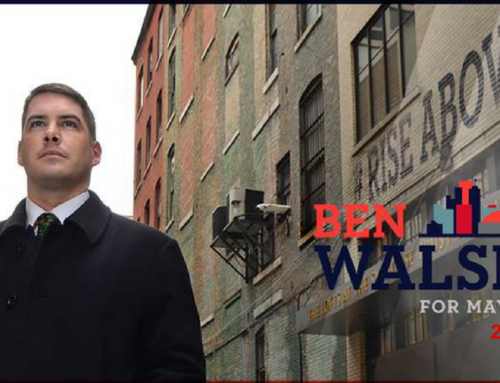 The Party is focused on getting government out of the way of investors and entrepreneurs, and fully updating and reforming New York State government. 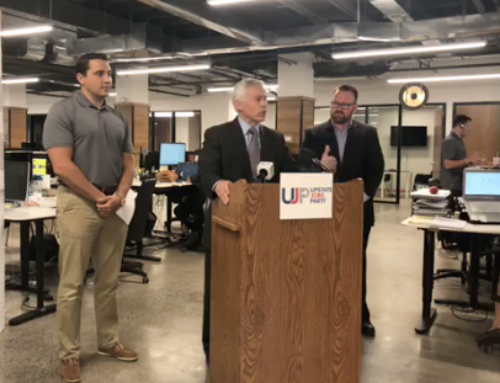 Founded in 2016, the Upstate Jobs Party has built support through the platform put forward by Martin Babinec, a successful software and tech entrepreneur who has helped hundreds of others start and grow companies in Upstate NY. Supporters of his independent Congressional bid came together following the 2016 election with commitments to stay involved in advancing UJP. 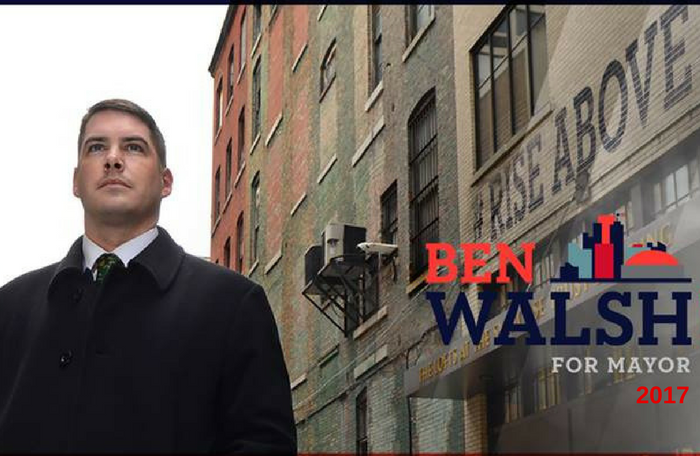 In 2017, Upstate Jobs Party supported independent candidate Ben Walsh, who successfully upset the political establishment by winning the election for Syracuse Mayor on an Upstate Jobs Party line. Walsh is the first independent elected as Mayor in Syracuse in the last 70 years. Just a few weeks ago, UJP announced that New York State Senate Candidate Bob Antonacci would be running on the UJP line for the 50th Senatorial District in Syracuse on November 6, 2018. 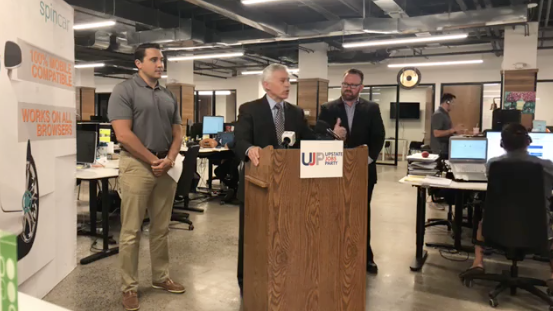 “As we continue to spread our message, we find more and more candidates and elected officials believe that fostering an environment where new companies in innovation industries can succeed is the surest path towards creating a stronger economy in Upstate NY,” added John Bullis, UJP Chairman. UJP anticipates committing significant resources in the 2018 campaign cycle, including from the Party’s Independent Expenditure Committee, to electing candidates that believe in pragmatic and effective policies to grow the Upstate economy. Volunteers interested in joining the effort to create more jobs in Upstate NY, keep our best and brightest talent from leaving to pursue opportunities elsewhere, and build a strong economy throughout the region are encouraged to visit UpstateJobs.org to get involved.